When it comes to self-driving vehicles, it’s starting to look like we could see a lot more trucks hitting the roads before cars do. As a way of proving that these rigs are viable modes of transporting goods, six convoys of semi-autonomous trucks have just spent a week driving across Europe. Six of the continent’s largest truck manufacturers, including Volvo, Scania, and Daimler, took part in the European Truck Platooning Challenge, which was organized by the Dutch government. The vehicles set off from their home bases in three different countries, before arriving at the port of Rotterdam in the Netherlands yesterday. 'Truck Platooning' refers to several trucks closely following each other in a convoy. They are connected via Wi-Fi and can travel with a much smaller gap between vehicles than what humans can safely manage. The lead truck determines the speed and route of the others, and, as the ones behind it are riding in its slipstream, they save on fuel. 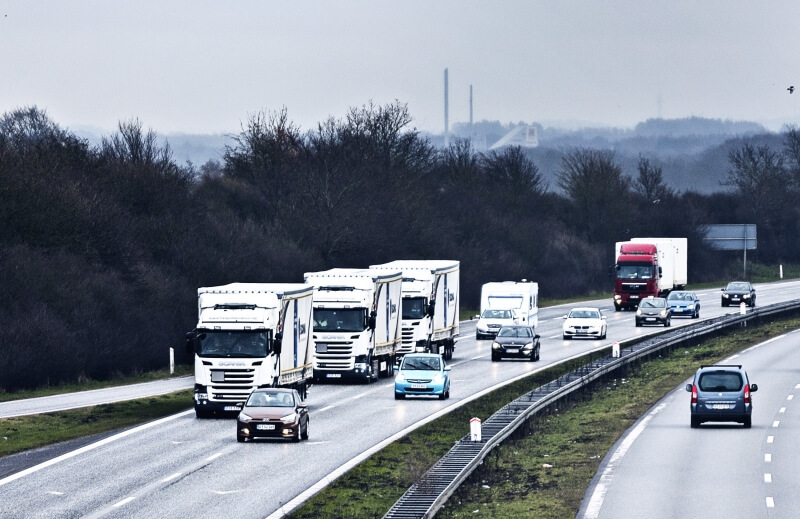 In addition to the increased fuel efficiency, which in turn will lead to less carbon dioxide emissions, platooning should help traffic flow better on some of Europe’s heavily congested roads, as the trucks travel at a constant speed when in formation. “Truck platooning will ensure cleaner and more efficient transport. Self-driving vehicles also contribute to road safety because most accidents are caused by human failure,” said the Dutch infrastructure and environment minister, Melanie Schultz van Haegen. Quartz notes that the event was organized as a way of pulling together all the bodies that have a stake in getting autonomous trucks on the road, including the vehicle manufacturers, transportation officials, logistics firms, and researchers. If the project helps convince the governments of Europe that truck platooning is the future of goods transportation, then companies like Unilever will start trials that use the autonomous vehicles to pick up cargo from Rotterdam’s port and deliver it across Europe. “This is all part of a journey, which we are on as the automotive industry, towards highly automated vehicles,” said Eric Jonnaert, president of the umbrella body representing DAF, Daimler, Iveco, MAN, Scania, and Volvo.